A long time volunteer Angelo Stefanini has left today Tuesday, 5 November 2013 for Italy. While in the country Angelo spent his time giving his services at Andiamo Music School and teaching Mada Taferakaso of Alleluya band sax. 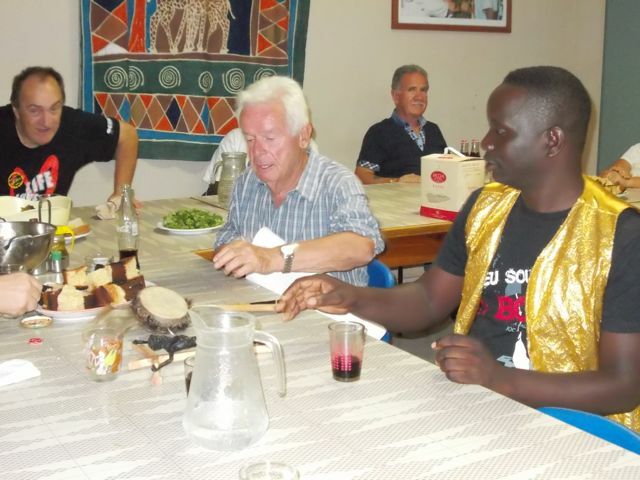 Andiamo Youth Cooperative Trust hosted a dinner to bid him farewell on Monday evening at Nankhombe House. Angelo Stefanini, 81, was born on 8th January 1932. He started to study music immediately after the Second World War in Montescudaio, Pisa in Tuscany region (Italy). This was in the year 1945. He learned Clarinet and Music reading and writing. After Clarinet he passed to Tenor Saxophone. Despite all these, Angelo says he is not a musician by profession but confesses he has played with professional musicians before in many occasions. He’s real profession though was cobbler and labourer in a big industry. Angelo knew Malawi for the first time in November 2001. He came to Malawi having been convinced by Don Paolo Pacifici, brother to Father Mario, to share in Andiamo his experience in music. Foster Chimangafisi, the former member of Alleluya band, was the first to benefit from his music experience. Many more youths from Balaka have also learnt from him both sax and music reading and writing. 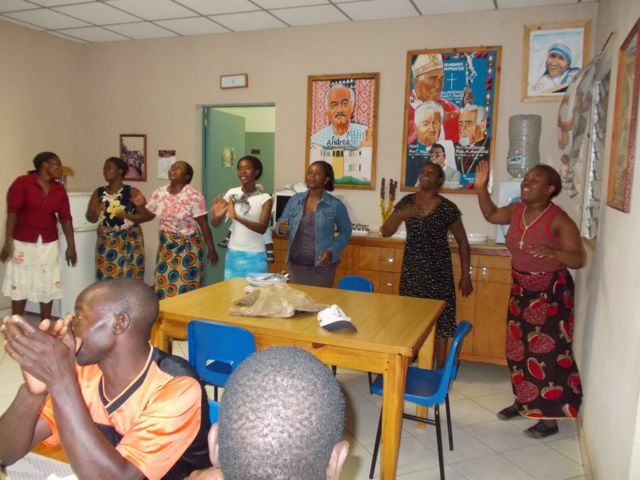 This entry was posted in Culture and Sport, News from Malawi and tagged Andiamo Music School, Andiamo Youth Cooperative Trust, Don Paulo Pacifici, Fr. Mario. Bookmark the permalink.